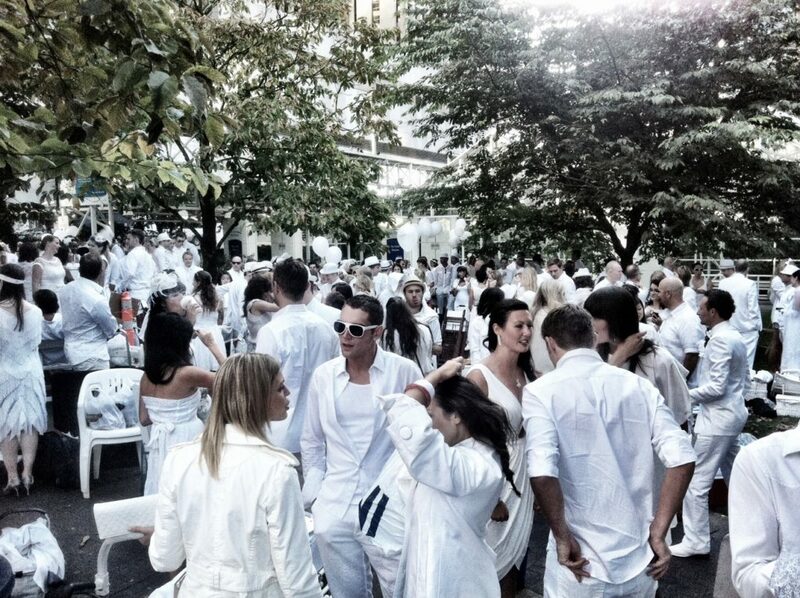 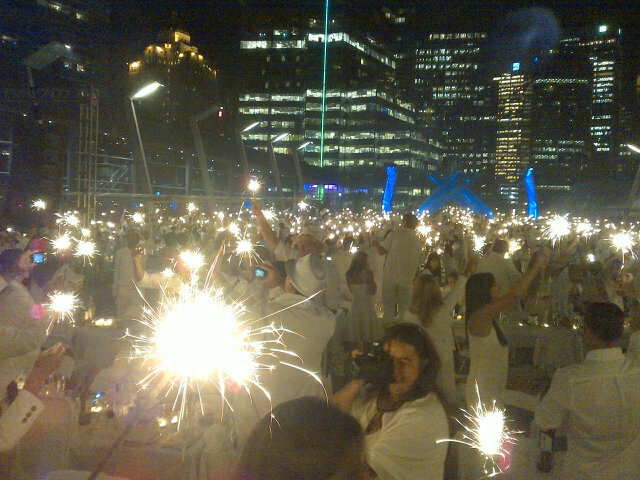 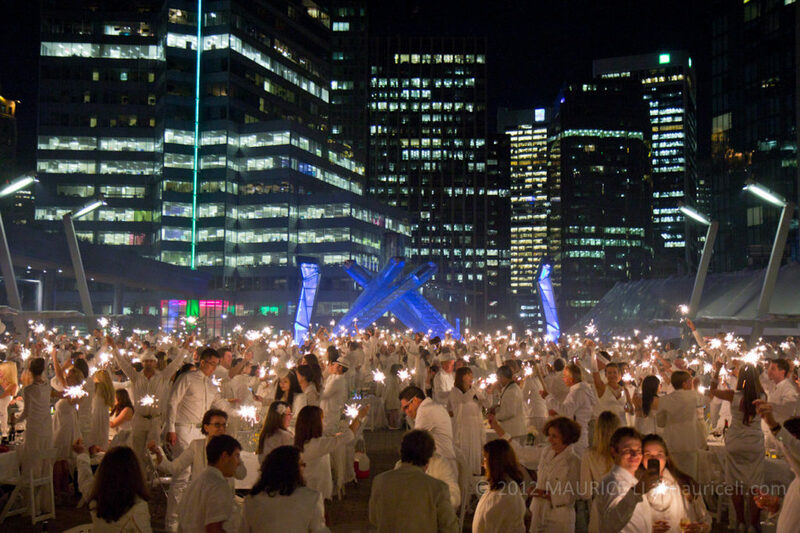 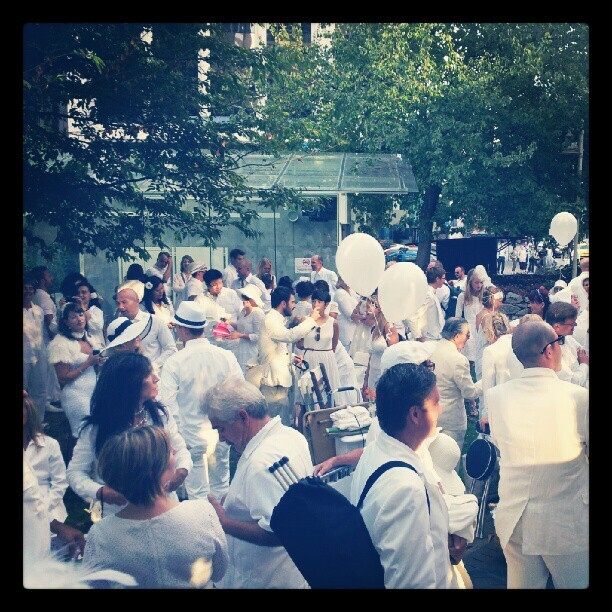 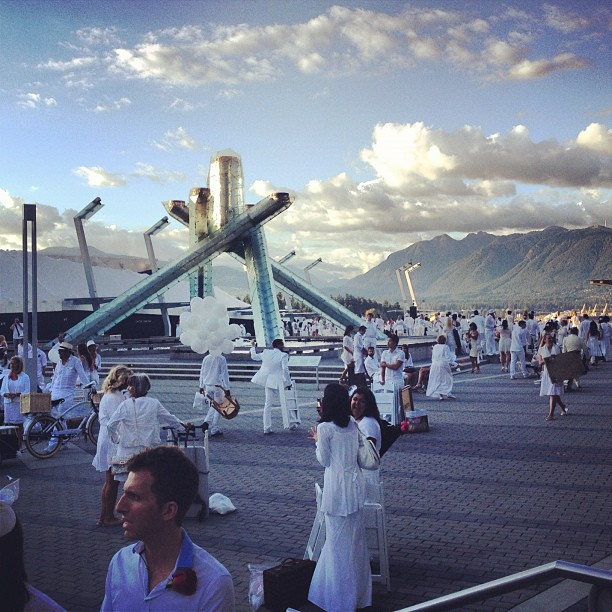 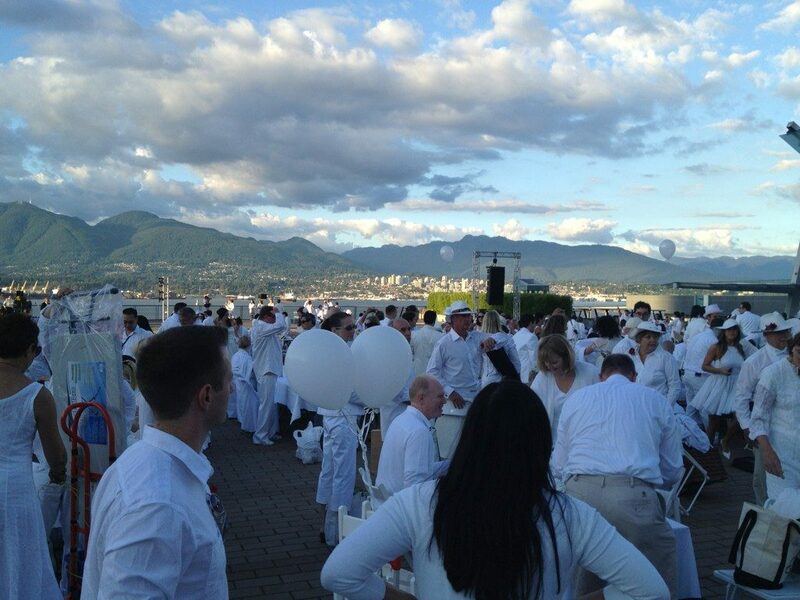 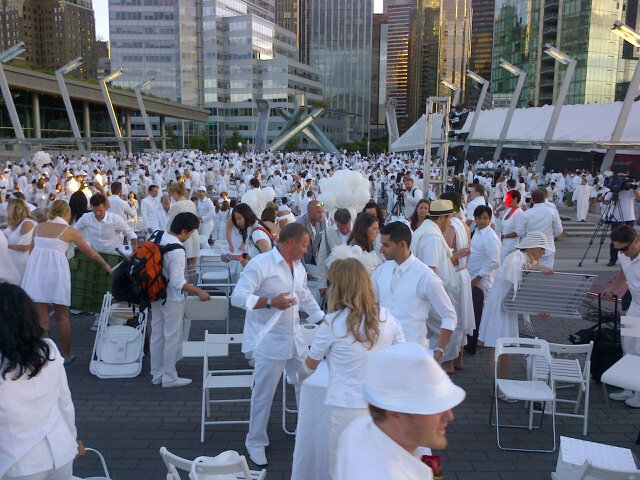 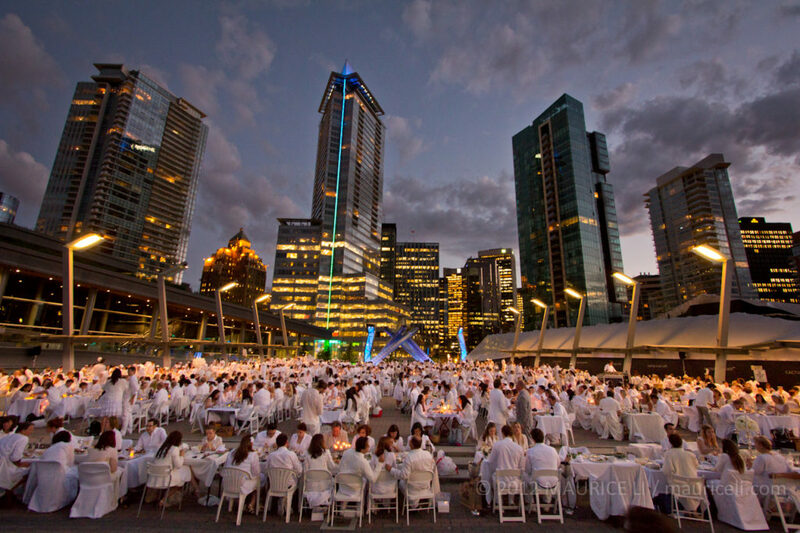 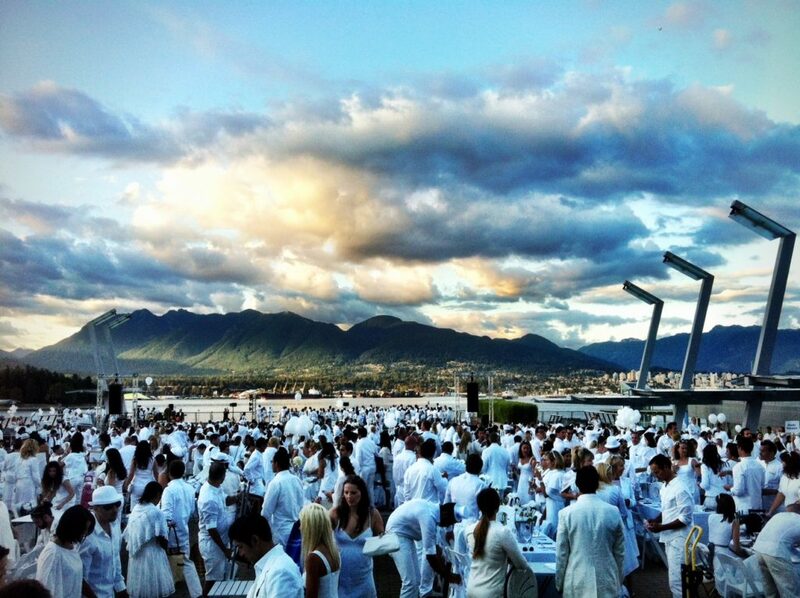 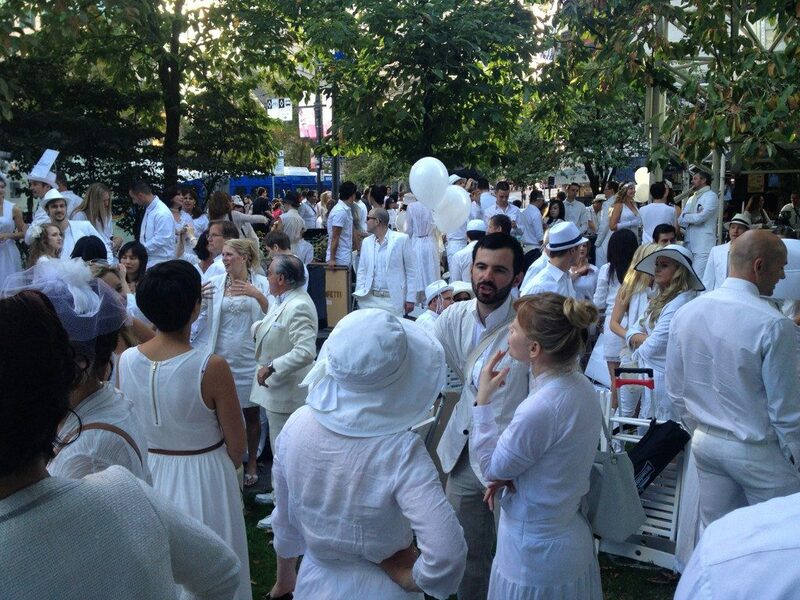 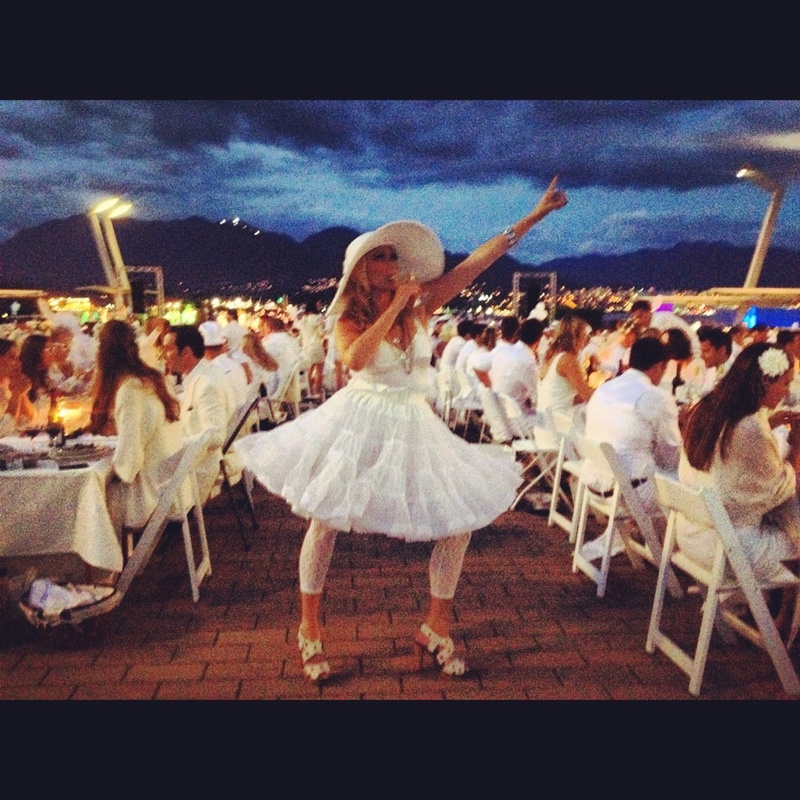 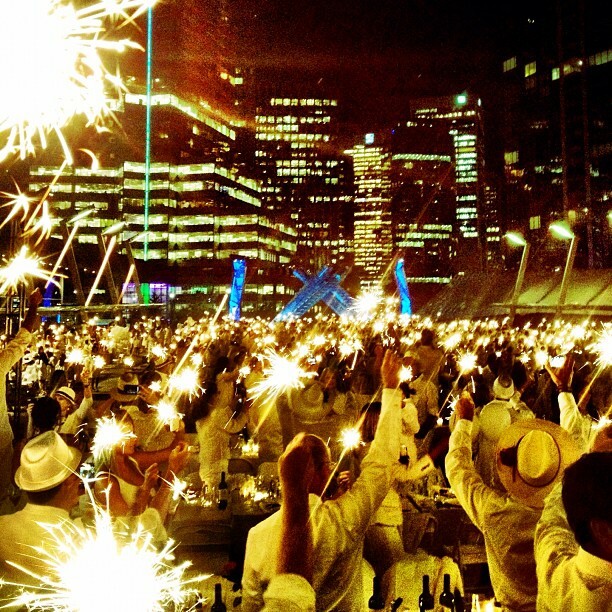 1,200 Vancouverites all dressed in white attended Vancouver’s first impromptu dinner party, Diner en Blanc, at the Jack Poole Plaza, Vancouver Convention Centre on August 30 2012. 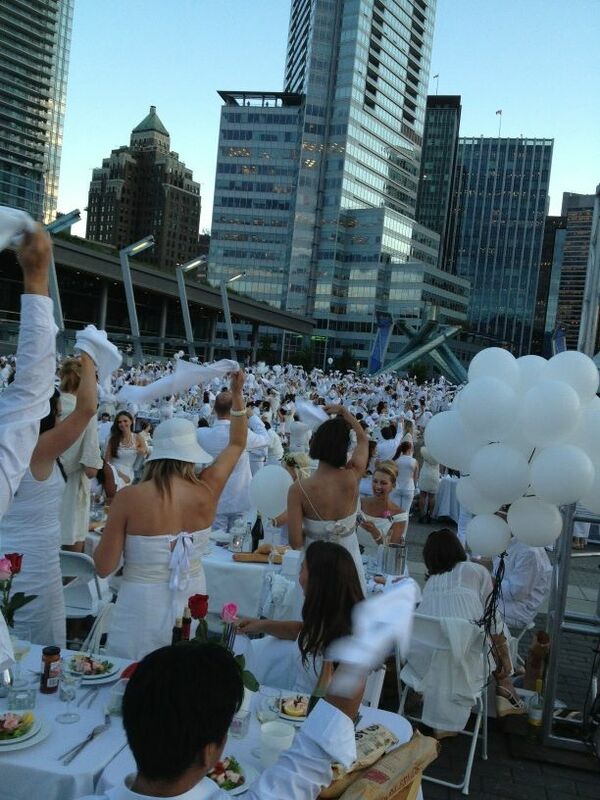 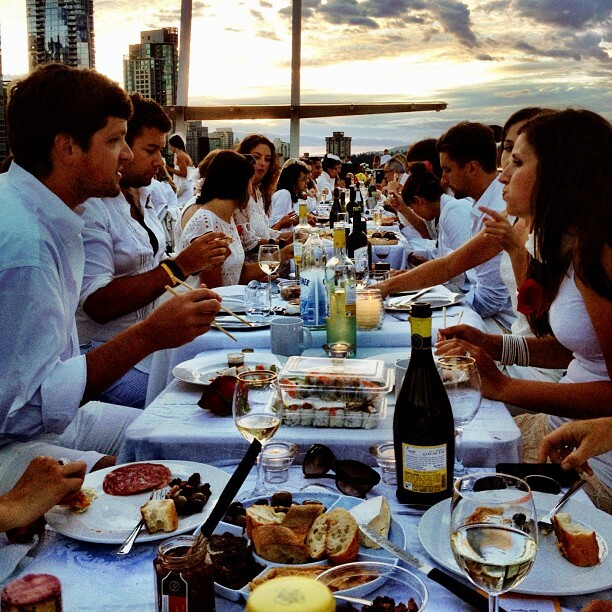 Diner en Blanc is a pop-up picnic that started in Paris, France over 20 years ago. 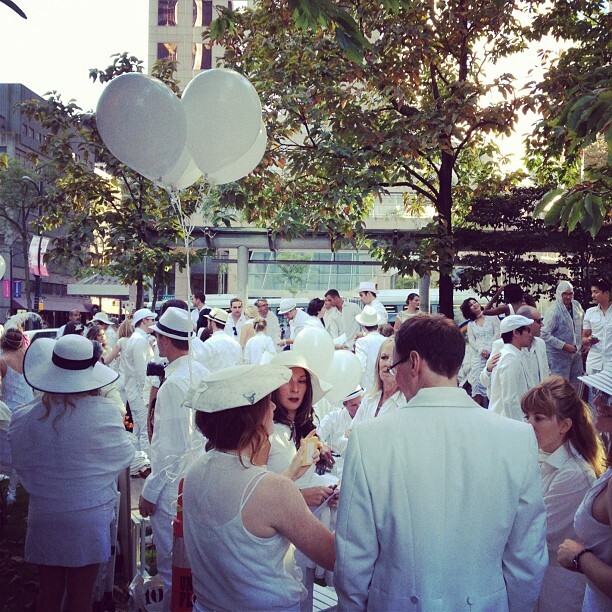 The event takes place annually in over twenty cities around the globe. 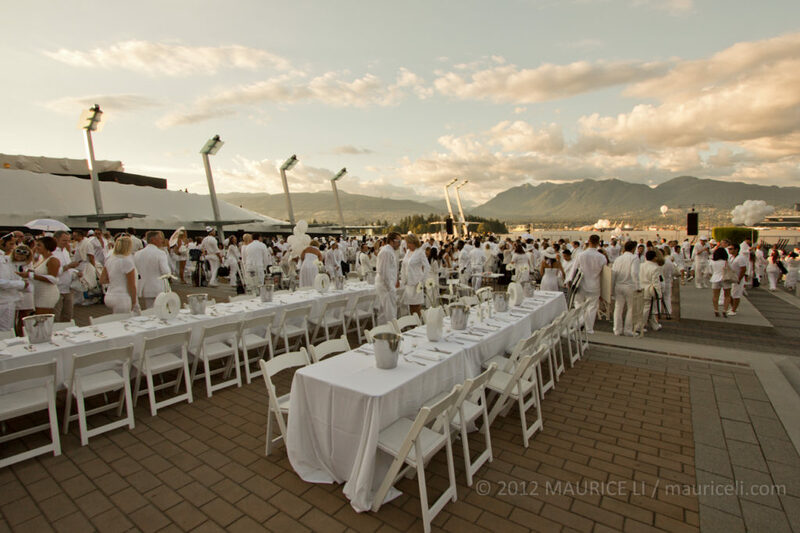 All guests are required to come dressed in all white and must bring their own white chairs, tables, cutlery, crockery as well as their food and drink.